Among these freshly found exotic vacations from all over the Caribbean you will surely find something you like. Right on the top there is a 4 nights getaway to Turks and Caicos starting from just $739 per person. But if you browse a little longer, you may also see a 5 nights all-inclusive Jamaica vacation at Holiday Inn from $599 per person, a luxurious escape to Saint Lucia, again with all-inclusive service from $1,059 or a 5 nights Aruba beach trip with air from $1,139 on which you can save up to $860. You like one? Book it before it is gone! The Turks and Caicos vacation package from the top of the table includes a flight from Fort Lauderdale to Providenciales, 4 nights stay at the Ocean Club Resort plus taxes and fees. Note that meals are not included. Ocean Club resort has got studio, junior, one and two bedroom suites. Each of them features a private balcony, well equipped kitchenette or kitchen, living area, flat screen TV, king size bed, air conditioning, ceiling fan and more amenities. 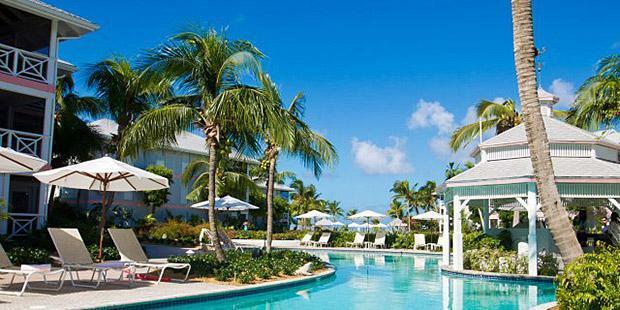 The Turks and Caicos resort looks over the long miles of white beach and clear water of Grace Bay Beach plus it has its own two swimming pools. Though it is a great offer, you might want to take a look at some other getaways to Turks and Caicos or the area. Compare the prices of 3 or 4 providers from the box and browse their packages until you find the perfect one. This entry was posted on Monday, July 4th, 2016 at 7:10 am and is filed under Top Deals, Vacation Package Deals. You can follow any responses to this entry through the RSS 2.0 feed. You can leave a response, or trackback from your own site.